Oceania Cruises plans to invest $50 million to spruce up its three older ships — the 30,277-ton, 684-passenger Regatta, Insignia and Nautica — next spring. The six-week project from April 24 to June 6 will refurbish the suites, staterooms and some public rooms. The Insignia and Nautica will be refurbished in Marseille, France, and Regatta in Vancouver, B.C. The renovated Insignia will debut on May 8 in Barcelona for a seven-day “Jewels of Europe” cruise, its first cruise after a two-year charter to Hapag-Lloyd Cruises and less than a year before its 180-day World Cruise. Nautica will re-enter service on May 16 in Civitavecchia for a 10-day “Cliffs & Coves” cruise. 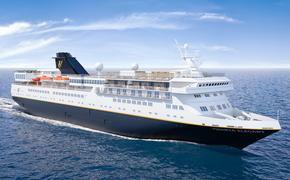 Regatta re-enters service on June 7 in Vancouver for a 10-day “Majesty of Alaska” cruise. The bathrooms in the Owner’s and Vista suites will get new oversized showers and vanities. Original artwork will be commissioned for all accommodations. The casual Terrace Café will be completely refurbished and get a new grill for new offerings such as lobster tails, steaks and lamb chops (offered on the line’s two new ships, Marina and Riviera). The trio also will get the Baristas coffee bar, which will serve complimentary illy coffee, including espressos, cappuccinos and lattes, as well as homemade croissants, biscotti and finger sandwiches. The Grand Dining Room the Italian specialty restaurant Toscana will get more tables for two. Horizons, the observation lounge, also will be refurbished with a new color scheme and décor. In addition, the ships’ only indoor smoking area in Horizons will be completely enclosed with glass and get an air filtration system. The show lounges also will be refurbished. Martinis will get new furniture while the Canyon Ranch SpaClub will receive new steam and changing rooms.